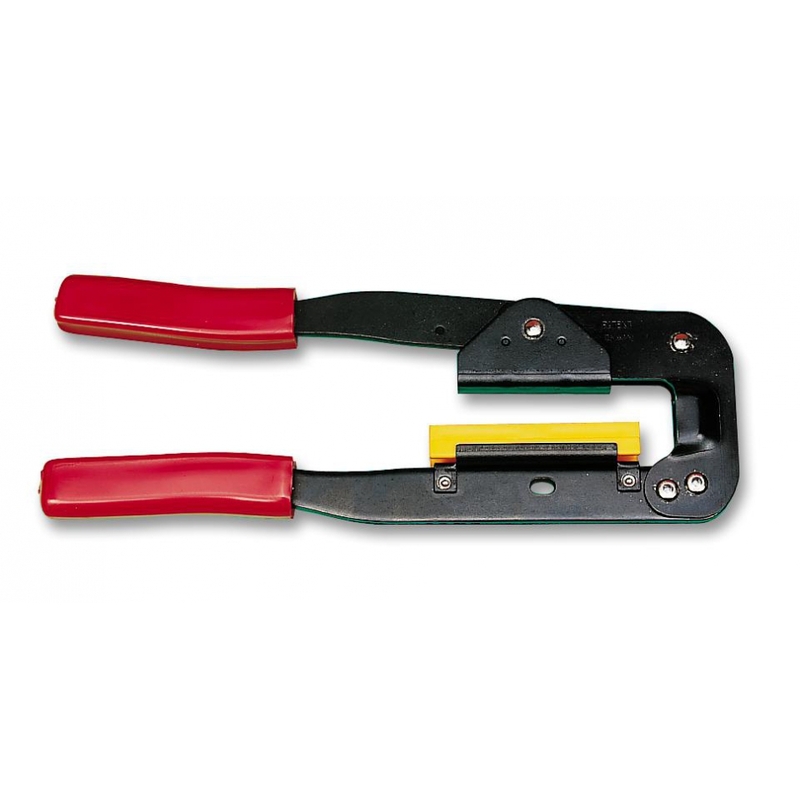 Ribbon Cable Crimp Tool | DamenCNC B.V. When working with USBCNC, many connections are made with ribbon cable. We have been selling the connectors and cable for years. 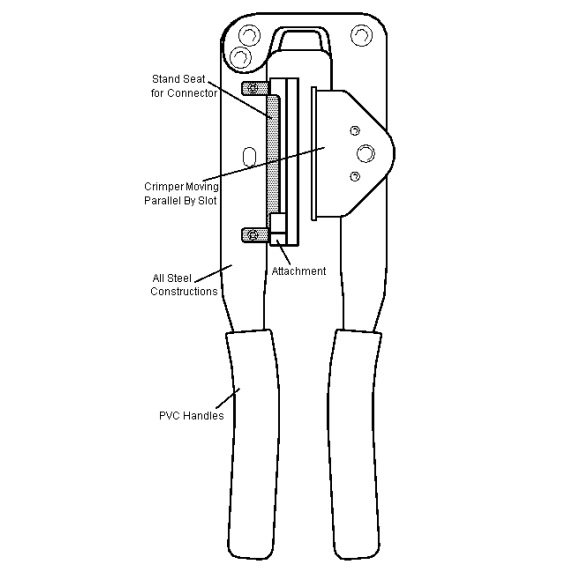 Many people use a workbench vise to make the crimp connection. Often this gives problems. Most common is to over tighten and then break the connector. Other common problem is misalignment of the connector and cable. 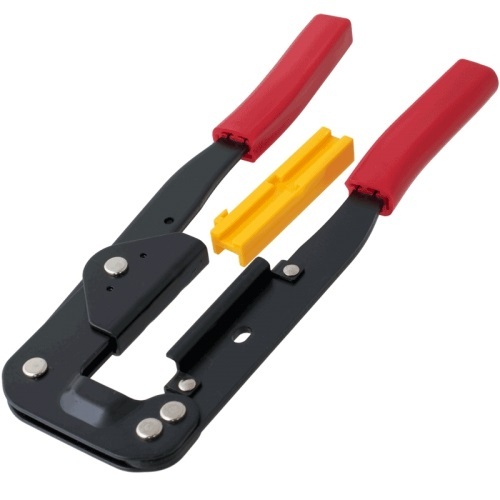 Both of these issues are solved with the Hand Crimp Tool. It has a limited range, which prevents you from breaking the connector. Also it has an alignment jig for the connector. 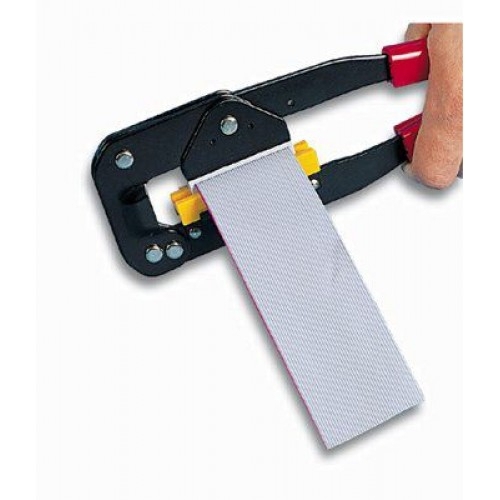 For crimping IDC - type of connectors onto ribbon cable crimping from height 6mm distance to 27.5mm (maximum 55mm width).